GUELPH, ON (November 16, 2011) – The Grain Farmers of Ontario is welcoming the submission of proposals for research conducted in corn, soybean or wheat for funding in 2012. Grain Farmers of Ontario targets research and innovation opportunities that will enhance our farmer members’ returns. The four main Research Priority areas are Market Development and Quality; Breeding and Genetics; Agronomy and Production; and Diseases and Insects. There is a special emphasis this year on projects with a focus on agronomy and production and the insect and disease priority areas. Exceptional proposals in other areas will also be considered. “Investment in research is a long-term strategic initiative of the Grain Farmers of Ontario for the benefit of all grain farmers. Our farmers have sponsored and participated in decades of practical research that has resulted in economic gains for both farmers and the province of Ontario,” says Don Kenny Chair of Grain Farmers of Ontario. Proposals submitted must meet the Research Priorities of Grain Farmers of Ontario. 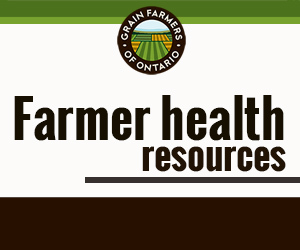 Please follow the 2012 Guideline for Research Proposals and the Grain Farmers of Ontario 2012 Research Priorities documents to ensure that your proposal is aligned with the organization’s priority areas of research. Both documents can be found online at http://gfo.ca/Research. All proposals will be reviewed by the Grain Farmers of Ontario Research Committee and the Board of Directors. 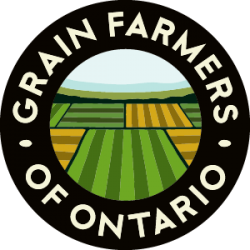 It is expected that researchers will be notified of the Grain Farmers of Ontario’s funding decisions in mid-February, 2012. The deadline for proposal submission is January 10, 2012 at 5:00pm. Researchers should submit research proposals by email to awcoleman@gfo.ca. Proposals that best meet the Grain Farmers of Ontario Research Priorities as well as provide the most benefit to Ontario farmers will be approved for funding. Grain Farmers of Ontario strongly encourages partnerships amongst research institutions and with other funding agencies. For more information on current research projects receiving Grain Farmers of Ontario funding support please visit http://gfo.ca/Research.